A bi-injected shell made from Polyurethane', a material with consistent density enabling effortless progress on-snow', provides well adapted stiffness in a shiny', durable', dynamic and abrasion resistant piece. A reinforced rear', lateral insert enables the use of a softer front cuff for improved leg wrapping and progressive flex. Combined with Polypropilene', a softer and lighter material than PU for high UVA resistance at a good price/quality ratio. 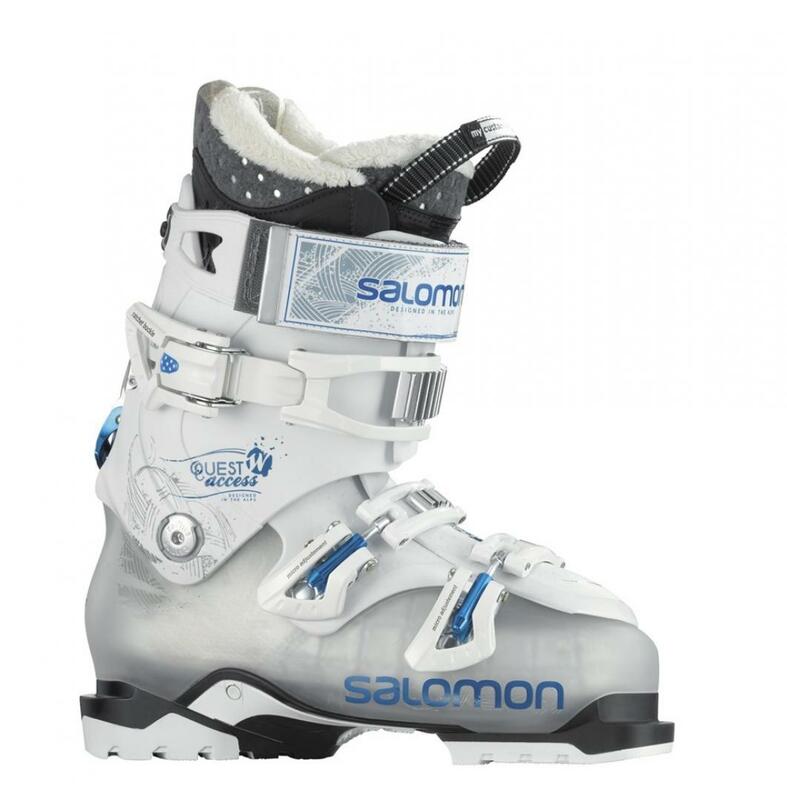 Canting enables cuff alignment to the skier's lower leg shape. Single canting allows the cuff to be moved towards the interior. A liner with a specific height and cuff adapted to women legs and calves.